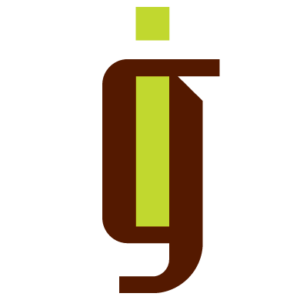 Before I was formally introduced to WordPress by IronGate Creative, I had a quite negative opinion of it and how it worked. I was under the impression that WordPress was a platform that could allow the average internet user to create and maintain their own website through a combination of prepackaged plugins and tools. These prepackaged plugins and tools are generally free, low-quality and typically do everything possible except the exact thing you’re looking for. Some web developers or companies will state that they’ll be designing you a “custom website”, and while this term may be a loose one to describe the product you’re paying for, it is anything BUT custom. What I’m describing here is sloppy, easily-breakable code that a developer will slap together to save time and money with hopes that you aren’t technical enough to see what they’ve done. Even though you pay for a full-fledged custom-coded website, you’re more than likely getting a website that took less than 20 hours to put together with free plugins with no support. This is not best practices. Using plugins in general isn’t a bad practice. 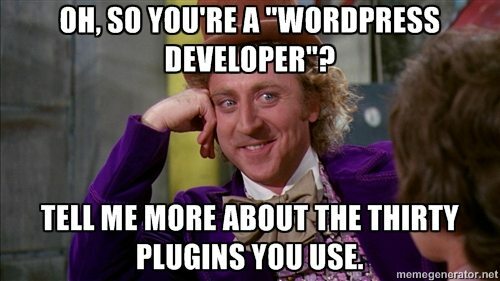 Virtually every WordPress developer uses plugins. Developers use plugins to tackle small and large problems alike, from integrating a simple Facebook feed to creating an e-commerce storefront for your website. There are many free, very simple-to-use plugins out there that will accomplish a given task perfectly, and save us developers some time. After all, it’s generally not a good idea to reinvent the wheel every time you want to ride a bicycle, but if you pay top dollar for that bike, you want to know that it was crafted with equal value. Every time we’re faced with this fork in the road at IronGate, whether to use a plugin or write our own custom code, we ask ourselves a few questions. Does the plugin have the EXACT feature I want in the free version? Many free plugins will list all of the features at once and make you figure out that the best feature is only included with a paid-for-version. Check the “free” vs “paid” feature list carefully before you get everything installed and working. How long has the plugin been supported? One big problem with plugins that we run into is that not many of them offer on-going support for the ever-evolving WordPress platform. Plugin Developers will create a plugin for a purpose at the time, publish it to be used by the WordPress community and then never make updates or changes for future versions of WordPress. This any out-dated plugin vulnerable to hackers and more likely for the client to run into trouble later down the road. What do the comments/support section have to say? My favorite way to get an insight on the quality of a plugin or piece of third-party software is to read the comments or the support section on the WordPress Support forums. Unless the plugin is out of date, the comments should reflect the quality of this plugin. Try to look for comments/threads that ask questions about something technical and see if the plugin developer or support staff replied to anything with helpful information. Sometimes it’s a tough choice to decide if it’d be more efficient to research plugins, find the best one, install/activate/configure the plugin, and then learn how the plugin works OR to think critically about what functionality you need to replicate or create and then try to estimate which will take longer or be more of a headache overall. There are many different scenarios for determining if a installing a plugin is the right choice or writing custom code is. It can vary wildly from small projects to large projects, clients that want something simple and easy to use to clients that want something cheap.